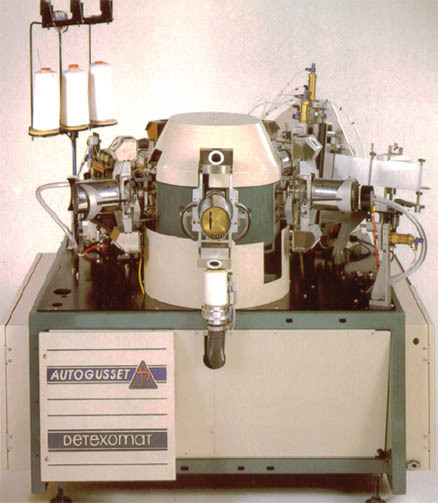 The new Autogusset seaming machine is a major step forward in speed, construction and simplicity. The Autogusset can "plug in" to the Detexomat Savio Line Closer, the new DLC6000 as well as the V-HS Vitesse toe closer. Producing an oval gusset in a choice of three sizes, it offers quick entry into high quality, added value pantyhose employing unskilled operators. Now proven in operation in more than 35 countries. At under 5.5 seconds per pair gives 350-400 dozen per shift. Mini, midi and maxi oval gussets can be sewn to suit individual customers’ requirements. The oval gusset reduces material requirement by up to 25% offering a substantial financial saving. The autogusset can fit into an integrated line, or stand alone. The HS-Contour 10 gives you the scope to create with freedom the styles of the decade. Dress socks, sports, socks or tubes, you name it, this is the machine. The CONTOUR TOE, the toe finish for comfort, ease of knitting, speed of production, high security and above all, for flexibility. Detexomat have more than 25 years experience in toe closing. The efforts are concentrated to ensure that the right machine is made for this part of a mill’s production cycle. With the HS-CONTOUR 10, new levels of quality and productivity have been reached. The HS-Countour 10 is available in 2 models. The standard machine for regular hose and now the mini which can handle regular socks plus the very smallest – down to 5 inches, depending upon the overall characteristics of the socks. Use the HS-Contour 10 to simplify the knitting cycle. The COUNTOUR TOE requires a tabular run off without reciprocation. Production increases of as much as 25% can be achieved using this method. More stitches, less stiches, a deeper or shallower toe, you decide – we’ve built in the scope to let you make the choice, all at the turn of a screw. Easy to load and simple to train an operator to produce a high quality product – consistently. Using an over lock sewing head, the variety, the security and most of all, the comfort of the toe are assured, whether in natural or synthetic fibres – the CONTOUR TOE. The HS-CONTOUR 10 is now available with seam flattener which really gives an enhanced appearance to the seam. This optional extras is a real plus in making a quality product. A swing out sewing head to ease re-threading plus full access doors for routine servicing. The machine’s height and operator position, incorporate the ergonomic design standards so carefully chosen by Detexomat to ensure perfection in this area. Not only comfortable to sit at, but so very quiet to work with. 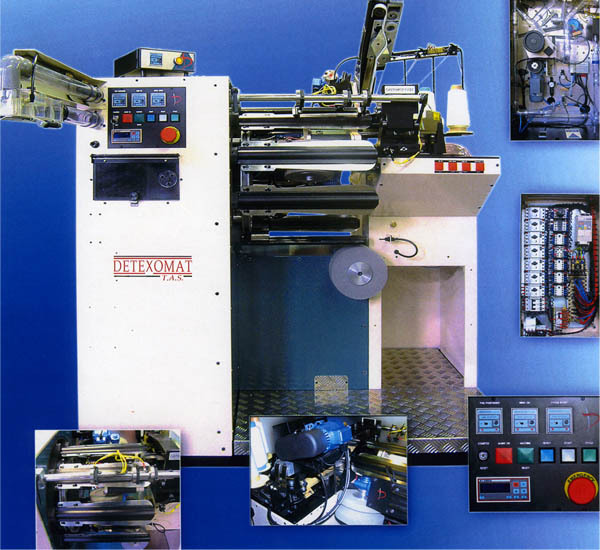 Throughout the machine, Detexomat’s experienced engineers have created simple mechanical devises to carry out sophisticated and controlled motions. To this add basic, easy to understand electrcs, and the claim of simplicity is full justified. The V-HS Vitesse with a pedigree of more than 4000 units installed worldwide, toe closes ladies’ hosiery at high speed with top quality and consistency. With it’s modular concept and links it increases productivity; reduces operator training and keeps work in progress and floor area to a minimum. Its speed, reliability and simplicity is a success in both the smallest and also largest pantyhose manufacturers worldwide. 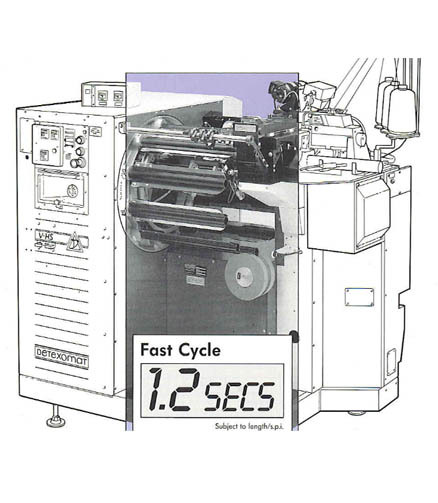 1.2 seconds or 1000 dozen pairs per 8 hours. Practical output 500-800 dozen pairs. Detexomats toe clamping systems guarantees choice of profile, consistent quality with exact toe positioning. Single or double leg, knee high or pantyhose in 5 to 70 denier are easily handled. For heel, pattern or motif each leg can be automatically and precisely orientated. Assembled with precision parts for durability and using state of the art electronic and pneumatic components for each of service and availability. The V-HS VITESSE is at the heart of the Detexomat Robotic System intergrating toe closing with other seaming machines for pantyhose. The carder and rider moduls are available for the presentation and packaging of knee highs. For stand alone, high speed, double leg toe closing the V-HS VITESSE can be fitted with the pantiloader module. We at T.A.S. 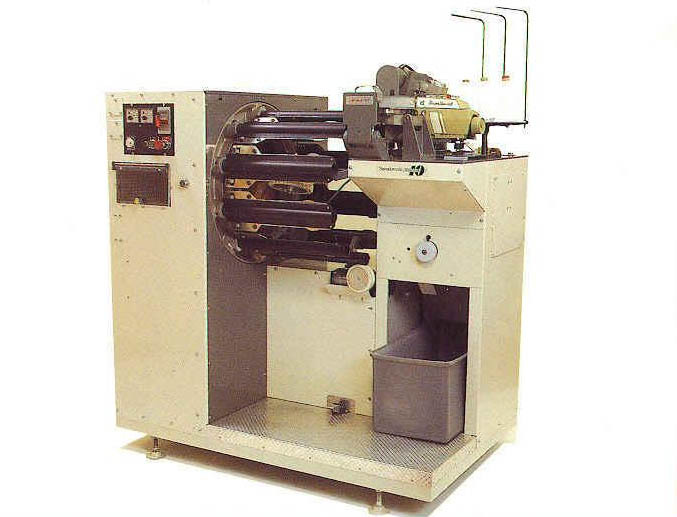 felt that with so many companies operating DETEXOMAT Toe-closers, some of which can be up to 20 years old, there was a market for a replacement basic toe closing machine. In keeping with past DETEXOMAT numbering we have defined this model as the MK5. Benefit 1: Sensibly priced, straightforward, no frills Toe-closer. Benefit 2: Powered by proven Detexomat VHS MK4 electrics, controlled by Omron CPU's. Benefit 3: Physical compact size of MK2 models with traditional well known mechanical elements.